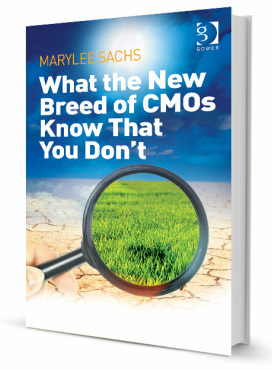 "A New Breed of Global CMOs: What They Know and You Don't" article published by The CMO Club. Abstracts & Extracts from MaryLee's book are featured in the latest issue of PeerSphere, the Chief Marketing Officer (CMO) Council's peer-powered, peer-inspired and peer-driven publication focusing on the latest global developments and strategies in marketing. Featuring insights and innovation trips from senior marketing executives worldwide, PeerSphere provides an in-depth quarterly resource to help marketers improve their performance and effectiveness. As endorsed by the CMO Council. The Game Changers newsletter featured an article entitled The Least Understood Member of the C-Suite. CMO Club Innovation and Inspiration Summit - moderated a panel of CMOs with Guy Longworth of Sony Playstation, Susan Lintonsmith of Quiznos, and Danielle Tiedt of YouTube on the theme of "The New Breed of CMOs - What They Know". New York City Book Launch hosted by MSLGroup North America, with a CMO panel featuring Michael Sneed of Johnson & Johnson, Elisa Steele of Skype / Microsoft, and Marc de Grandpre of KIND Snacks. The corresponding INFOGRAPHIC was produced by host MSLGroup based in date from the book. 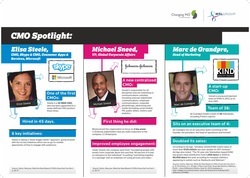 The reverse of the INFOGRAPHIC featured data points from the CMO panelists. 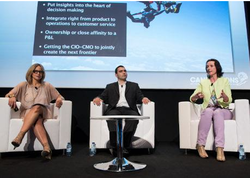 Global CMO Magazine cover story (see pages 38-43) entitled "Great Leaders Are Great Learners", with excerpts from book launch event at the Cannes Lions International Festival of Creativity featuring a CMO panel with Julie Woods-Moss, CMO of Tata Communications; Douwe Bergsma, CMO of Georgia-Pacific; and Renee Wilson, North America president of MSLGroup. PRWeek USA announced video blog produced by MSLGroup featuring the launch of What the New Breed of CMOs Know That You Don't. 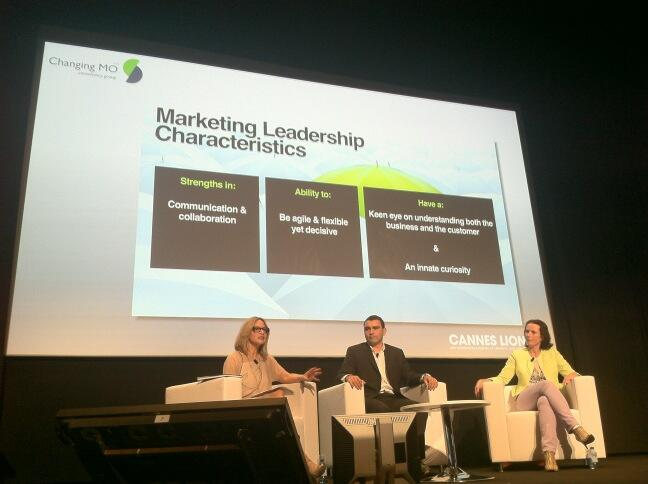 Cannes 2013: 'Marketers must hang out with their most difficult customers' headlined the article covering the Forum panel which introduced the new book, and which was labeled as a session "inspired by Changing MO founder MaryLee Sachs". CHANGING MO LLC / MSLGROUP joined together to produce a Forum session for the Talent content stream on Monday, June 17, 2013. 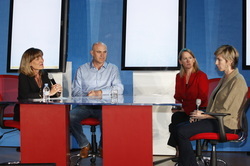 Entitled "Partners in Crime: How CMOs Find and Foster the Best Talent", a 30-second video was produced to promote the event, which was streamed on the Cannes Lions' video channel and its Forum events, as well as via YouTube channels for MSLGroup and MaryLee Sachs. Watch it here: Partners in Crime: How CMOs Find and Foster the Best Talent. Feature in June issue of Global CMO — The Magazine, published by the Global Marketing Network (GMN). An audio interview between Bob Garlick, "The Great Idea Guy", and MaryLee on the subject of her first book and how to get the best out of it...and an early view of MaryLee's second book - What The New Breed of CMOs Know That You Don't - to be launched in June at the Cannes Lions International Festival of Creativity.